BRYTER Estates was founded with their first vintage in 2007 by Bryan and Terin Ignozzi. Terin grew up in Chicago – is first generation American (her father was born in Italy) and was raised around home wine making. Her first introduction to wine making was at her grandfather’s house; he would purchase grapes from California and make wine every year. Some years they would make vinegar. Tiring of the cold Chicago winters, her work took her to the San Francisco Bay Area. Her career did not initially involve wine, rather she worked for a market research company. Based on proximity to wine country and rediscovering her early interest in wine through her grandfathers’ tutelage, she convinced Bryan to both attend the University of California, Davis for several years where Terin earned her Certificate in viticulture and enology. After finishing at UC Davis, Terin decided to start making wine on the side (she still had a full time job). She was the winemaker for their first few vintages; today she shares the wine making duties with winemaker Kari Auringer. Both have the same philosophy when it comes to wine making – create balanced food friendly wines that are enjoyable young but also have the backbone to be able to age well. 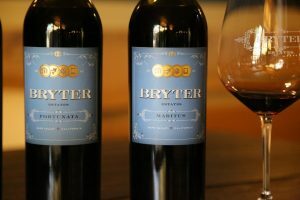 Initially BRYTER produced a number of varietals from both Napa and Sonoma including several white wines, Rhone style blends and even a sparkling wine. 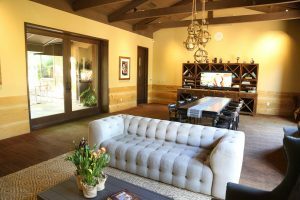 Today their focus is tighter – producing several Pinot Noirs from Sonoma County and red wines from Napa. Their annual production is around 2,000 cases. The name BRYTER came from combining the first three letters of each of their names; BRY in Bryan and TER in Terin. It is pronounced ‘brighter’. BRYTER used to maintain a tasting room just off of the Sonoma Square for about 5 years. 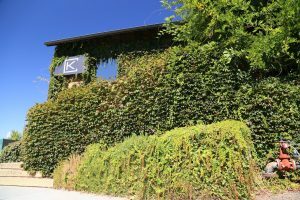 In 2017 they moved from the town of Sonoma to the city of Napa and now offer tastings at the Kitchen Collective by prior appointment. The Kitchen Collective is a private social club focused on unique culinary experiences and social events (with members having access to a state of the art kitchen and the culinary team). Several wineries are members which allows them to taste their own wines (by appointment) on site. The Kitchen Collective is located in the building that used to house Cuvee Restaurant next to the River Terrace Inn (just north of the Wine Train Depot and the Oxbow Public Market). 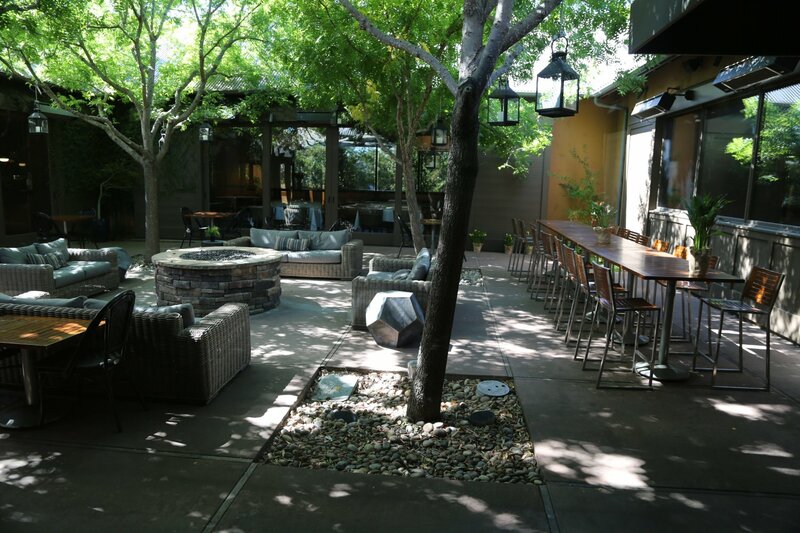 And keeping the wine tasting in the family, Terin’s mother Pam often hosts tastings at the Kitchen Collective. All the wines have proprietary names – often in another language. They currently produce two Pinot Noirs from Sonoma County. The 2014 Cadeau (meaning gift in French) is the lighter style of the two wines. Perfume driven on the bouquet it shows floral notes along with fruit (cherry and cranberry) and a noticeable savory/spicy component. Refreshing on the palate with finesse, the wine shows pleasing acidity with higher toned fruit – including flavors of red currant. Finishes clean with lingering fruit. The 2014 Tre Sette, in Italian means the Three Sevens which is an appropriate name for this triple 7 clone of Pinot Noir. Very floral on the bouquet with notes of dried rose petal and bright fruit including raspberry – as it breathes a hint of cocao powder shows along with a sweetness of fruit. Plusher on the palate then the Cadeau it shows flavors of berry with fine grained tannins on the finish. Drinks very well by itself. Maritus is Latin for marriage and refers to the marrying of the two varietals for this wine – Cabernet Sauvignon and Cabernet Franc. The 2013 Maritus reveals appealing fruit aromas of cherry, black licorice and cedar box and a hint of olive. This wine is extremely well balanced with lingering with somewhat dusty and lightly gripping tannins on the finish. Fortunata means “lucky woman” in Italian referring to Terin’s own good fortune in being able to make wine for a living. The 2012 Fortunata is 60% Petit Verdot and 40% Cabernet Sauvignon (both from Coombsville). The bouquet is simultaneously ripe yet elegant showing a sweet core of fruit including blackberry. Rounded upon the entry this wine is extremely flavorful. Good acidity with flavors of red cherry and black currant. Shows a hint of sweet mocha on the pleasing finish. 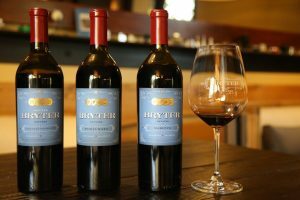 The Inspired was the first wine that Terin made commercially under BRYTER Estates in 2007. And this was a good vineyard to start with – one of Andy Beckstoffer’s heritage vineyards, George III Vineyard in Rutherford. They have continued to make this wine from this vineyard every year. The 2013 Inspired is complex on the bouquet revealing aromas of dust, dessert spices but what shows through the most is the richness of the fruit (boysenberry and blackberry with notes of chocolate). Layers of flavor show on the palate including blackberry and spicy plum. This is a big but balanced wine – a hint of mocha shows mid palate followed by a finish that has some weight and grip to it. A tasting of the BRYTER Estates wines are paired with several small bites prepared on site. 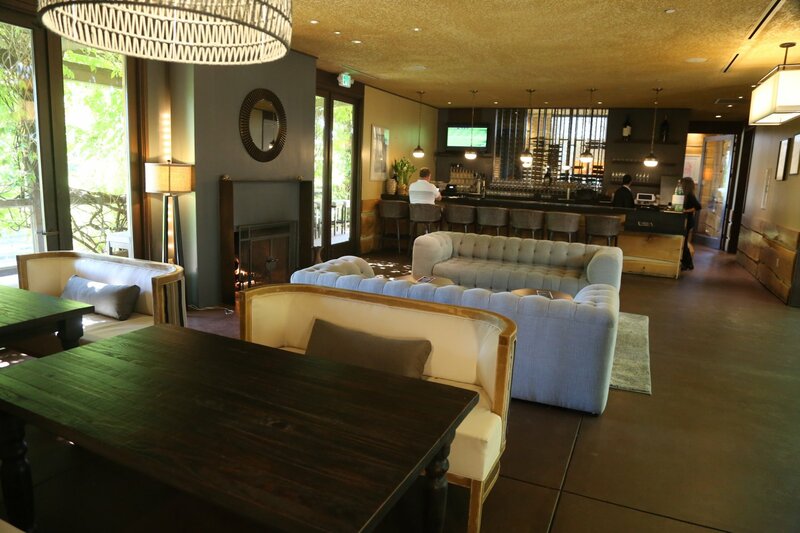 Because of the member benefits, and having a commercial kitchen on site, BRYTER can offer more in depth culinary experiences with the wines as opposed to a general tasting. Inquire for details.